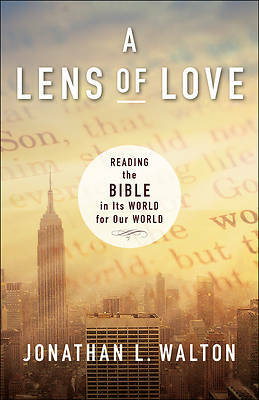 In order to engage the Bible in the spirit of justice, compassion, and love, Jonathan L. Walton suggests reading the Bible in its world for our world. Perfect for individual or group study, A Lens of Love helps Christians to read and interpret the Bible morally and confidently as they engage society's pressing issues. Walton provides interpretive tools to help understand the context of the Scriptures along with the Scriptures themselves in order to engage the richness of the Bible as they strive to live in the world in a biblically grounded, theologically sound, and socially responsible way.